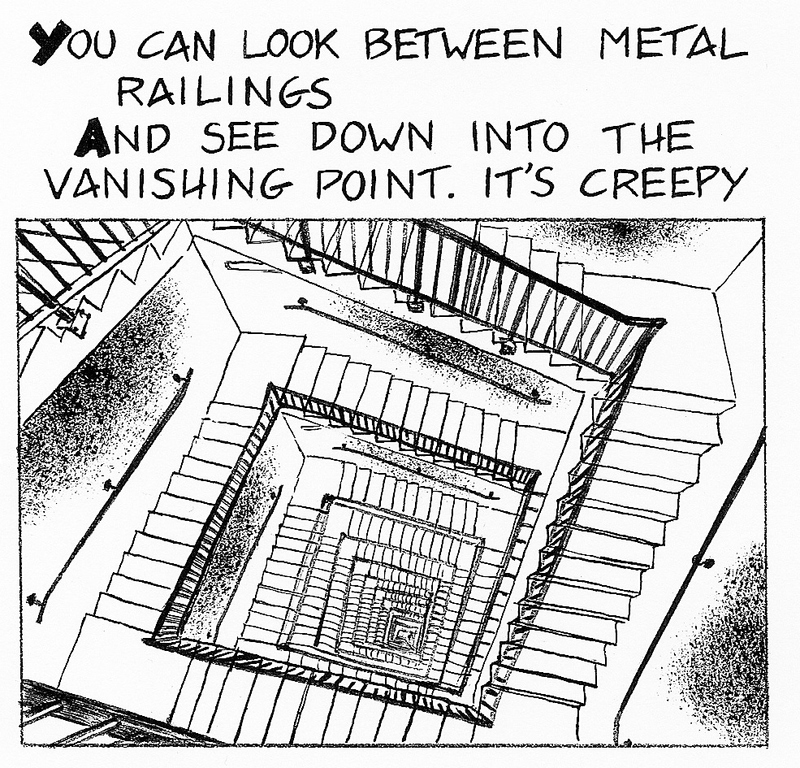 Kickstarter Campaign for “Stairs Appear in a Hole Outside of Town”! I am presently collaborating on a collection of graphic adaptations of the poetry of John Philip Johnson, entitled “Stairs Appear in a Hole Outside of Town.”Johnson is, in my opinion, one of the finest poets working in English today, brilliantly and unusually combining paranormal and sci-fi thematics with an understated, finely calibrated lyricism. Contributing to the illustrations is an impressive roster of talent, including Marvel comics legend Bob Hall. As for myself, in addition to illustrating the project’s titular poem, I am also designing the cover of the collection, which is to be printed in the format of a classic American comic book. This entry was posted in comic book poetry, comics, Poetry and tagged bob hall, john philip johnson, kickstarter, marvel, stairs appear in a hole outside of town. Bookmark the permalink. 2 Responses to Kickstarter Campaign for “Stairs Appear in a Hole Outside of Town”! Why not do a kickstarter for “…Prufrock”?! I’m DYING to own it. Is “Annabel Lee” available for purchase anywhere? I’m glad you asked. I’m currently in the process of completing “Prufrock”, after which I’m going to look into publishing options. Perhaps I can look into doing the same for “Annabel Lee” at the same time.